Iceland’s rugged and remote interior is best travelled in a rough circle, following Highway 1 along the coast around the island. 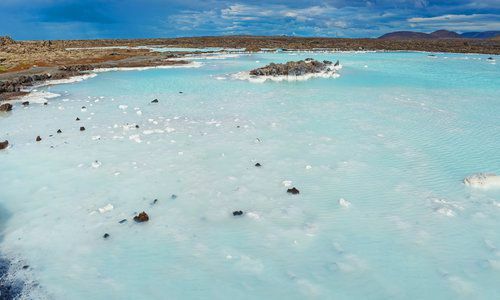 This self-drive itinerary, which begins and ends in Reykjavik, allows you to travel at your own pace, taking in everything from glaciers and gorges to waterfalls and wildlife along a truly unforgettable route. 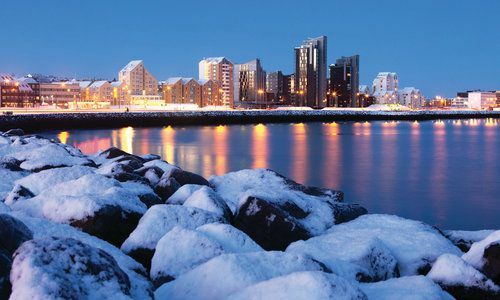 Touching down in Iceland’s capital, a shared transfer will bring you to your accommodation's Scandi-chic sensibilities. Take advantage of the central location to browse the city’s excellent cafés and galleries, and take in out some of the many landmarks such as Harpa Concert and Conference Centre by the harbour and Hallgrímskirkja church. Iceland's capital is also well known for its restaurant scene, so why not spend the evening checking out the best spots, perhaps dining at an ultra-trendy tapas bar or burger joint, or splashing out on an Iceandic-inspired tasting menu at the superb Grillmarkadurinn? Picking up your hire care and leaving Reykjavik, you'll quickly discover that the diversity of the landscape and geology of the Snæfellsnes Peninsula is unique. 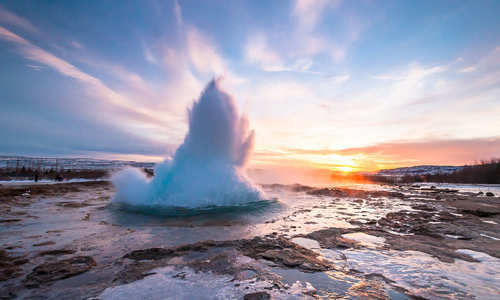 Explore Eldborg Crater and the many attractions along the south coast of the peninsula including the church at Búðir, Arnarstapi harbour, Djúpalónssandur beach and Snæfellsjökull Glacier. Legend has it that the glacier is one of the seven 'energy points' of the Earth and author Jules Verne also famously featured it in his novel 'Journey to the Centre of the Earth'. Glacier tours are available during summer. In the afternoon, visit Grundarfjörður village with its stunning view of Mt Kirkjufell, and explore the pretty harbour village of Stykkishólmur with its many colourful old timber houses. For much of the year, it's possible to take a boat trip from here and sail around Breiðafjörður Bay's many islands and bird colonies. Explore the majestic Hvítserkur Cliff off Vatnsnes Peninsula - seals can often be seen basking around on the beaches and the Seal Centre at Hvammstangi is also worth a visit. Tour the Skagafjörður area, known for its horse breeding. Visit the farmhouse museum at Glaumbær and the old turf church at Víðimýri. End the day in charming Akureyri town – often nicknamed the 'Capital of the North'. 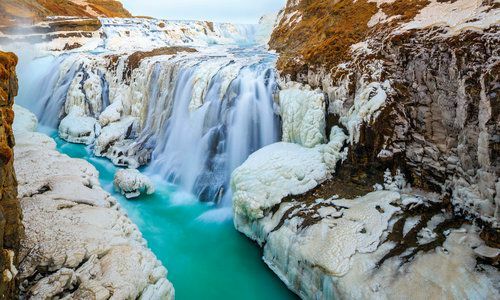 View the beautiful Goðafoss Waterfall ('Waterfall of the Gods'), then continue to Lake Mývatn to explore its many impressive sights, including Dimmuborgir lava fields and the geothermal area at Námafjall. Relax in the milky blue waters of the Nature Baths and enjoy an impressive view over the rugged surrounding landscape. See whales in their natural habitat on a whale watching tour from the pretty harbour in Húsavík (limited in winter), and visit the Fossil collection at Tjörnes and the beautiful Öxarfjörður area. 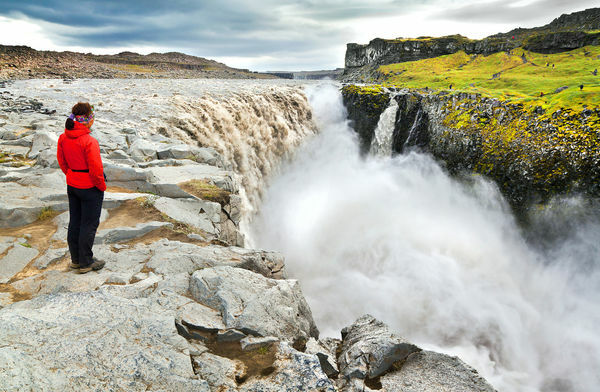 Visit the spectacular attractions of the northern part of Vatnajökull National Park including Ásbyrgi Canyon, Hljóðaklettar ('Echo rocks') and Dettifoss Waterfall. Drive through the mystical barren landscapes of Möðrudalsöræfi to Egilsstaðir town. The town of Egilsstaðir lies by Lake Lagarfljót where the sea serpent 'Lagarfljótsormur' allegedly lives. Explore the numerous places of interest around the lake including Hengifoss Waterfall, Hallormsstaður forest and Skriðuklaustur Centre of Culture and History. Drive along the Eastfjords with their dramatic mountain scenery and quaint fishing villages. Make a stop for example in Fáskrúðsfjörður village and enjoy the view towards Skrúður Island. Continue southwards to Höfn, known for its delicious lobster. Stay: Accommodation in the Höfn area. Admire the vast Vatnajökull Glacier as you drive along the Southeast coast. Cruise between the towering icebergs at Jökulsárlón Glacier Lagoon (April-October). Take an unusual tour to Cape Ingólfshöfði on a hay wagon (May-August). Enjoy the glacier vistas and many walking and hiking possibilities at Skaftafell nature resort. Visit the beautifully located Kirkjubæjarklaustur village. Continue to Vík village and visit Dyrhólaey, a 120 m high cape and nature sanctuary with perpendicular cliffs teeming with birds. Stop at Skógar with its magnificent waterfall Skógafoss and Skógar folk museum. 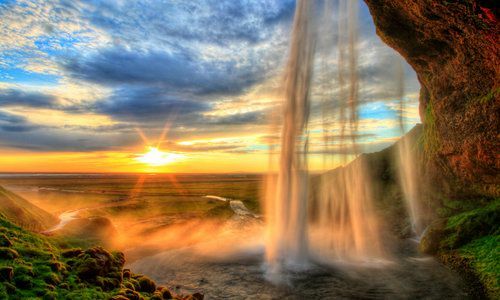 Admire - or even walk behind - the beautiful Seljalandsfoss Waterfall. Drive through the fertile farmlands of the South, the setting of the famous Njal's Saga. 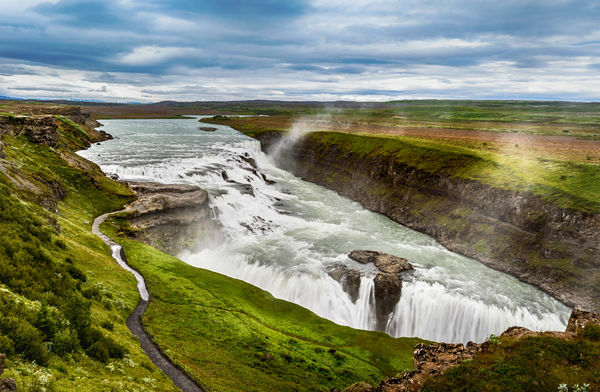 Visit historic Skálholt cathedral, Kerið, a 3,000 year old explosion crater, the beautiful Gullfoss Waterfall, Geysir hot spring area and Þingvellir National Park, a UNESCO World Heritage Site of great historic and geological importance. You'll end the day back at your central hotel in Reykjavik. 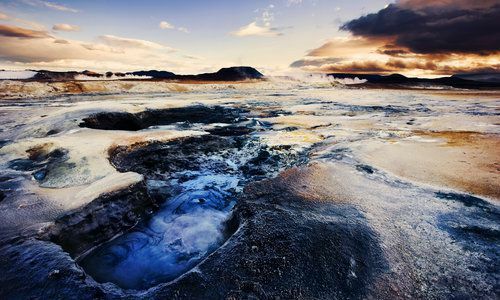 Depart Reykjavik after breakfast and drop off your hire car at the airport. Board your flight and continue your onward journey home.